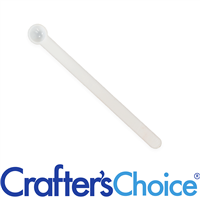 Produces a clear true red color in clear bases and a pastel pink color white bases. Highly concentrated - 1/8 oz. colors 150 lbs. of mp soap. Overuse will stain skin and clothes. Migrates in mp soap. Tints water when used in bath fizzies. 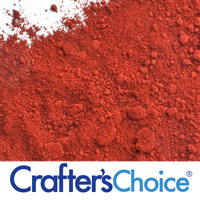 COMMENTS: This powder is great for bath bombs and m&p when you need a good, vibrant red! 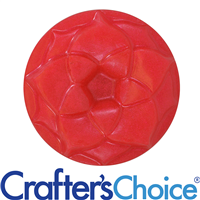 "Stained glass Apple Red Powder"
COMMENTS: I used this in MP soap for Christmas favors, and this was the perfect Holiday color! COMMENTS: I love this dye for bath bombs. A little goes a long way. Doesn't stain anything. 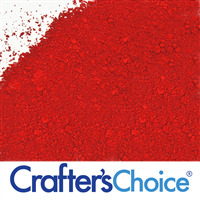 "Stained Glass Red Powder color"
COMMENTS: Only use a small amount, works great!!!! "doesnt fit for the application I was using"
COMMENTS: I tried this for bath bombs. It is ok if you bloom your color first. This Im sure is more for soap applications. "Workd great in melt and pour"
COMMENTS: WSP wasn't kidding when they called this concentrated. A little bit really goes a long way. Just don't forget to dissolve in water ;) Also, for me personally I ended up getting more of a strawberry color. Still very beautiful, just not that crisp apple red I was wanting. Btw the color will not stain skin immediately so don't worry if you get some on you :) Happy soaping! COMMENTS: I bought three Stained Glass pigments in the primary colors. It takes a lot more of the red powder to get a good 'apple red' color than it does of any of the others, so keep that in mind. It does not incorporate easily (while making purple bombs; the blue mixed easily but the red speckled), and when they dissolve in water it sends out little random shooters of red that swirl and linger on top of the water before dissolving (my sister graciously described it as "looking like when you get a nosebleed in the bath"), whereas the blue dissolved in instantly. I think that problem may be solved by mixing the pigment into the liquids before incorporating, or using some sort of foaming agent. I'm honestly torn between four and three stars for this product because I do love these pigments and their water solubility over micas / lakes is amazing (and really important to me). I've only encountered a few problems, but those problems are sort of big so I cut my losses and went for three. But I still think this is a great product, even if you do have to work with it! COMMENTS: When using this in bath bombs, dilute it in a water based liquid first! I used 1/8 tsp of the powder color with 1 tbs witch hazel and it produced a light red in my bomb! (1 ml of the color mixture was used for 1 bomb) No mixing was necessary, the powder incorporated into the witch hazel almost immediately. It wasn't as dark of a red as I had hoped but I'm worried it will stain the tub/skin if I reduce the liquid amount haha. This will last me a long time, a little really does go a long way! COMMENTS: A little hit and miss in finding out how to use this product. I initially mixed the colourants in my oils and found that it did not mix well (left dots and flecks of red in my soap). Not what I was going for, but in soaping sometimes it turns out better. It mixes very well in water and produces and even red colour. One of my favourite reds! • I would love to see it mix well in oils. "Exactly what I was looking for!" "Used in lotion and sugar scrub"
COMMENTS: A little tiny bit of this powder went a long way to color my almond rose body whip. I also used it to color my sugar scrub, but I haven't tested that flavor yet. I noticed that the body whip color will sit on my nails for a little while, but fades without any rinsing. Not sure if it's better suited for soap? It hasn't dyed my skin or anything, and the color is really lovely. I received a jar of it as a sample with my last order. Would definitely try it in other products! COMMENTS: Absolutely beautiful color - however it bleeds terribly. I am glad I tried it first, my shower was bright red, the towels were stained. If you are not ever going to use it, it's beautiful for color but not user friendly for your customer or yourself for bleeding purposes. COMMENTS: If you attempt to use this in CP soap make sure you pre-mix in oils. I pre-mixed and still ended up with red dots in my soap. Thankfully it was in a cranberry soap and it just looked like bits of cranberry. I have noticed that their stained glass colors are extremely hard to mix. The yellow does the same thing. COMMENTS: This is extremely pigmented and I love the color it turns my bath salts and the water. 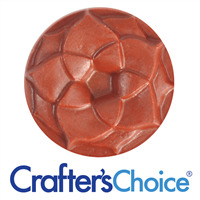 COMMENTS: I used this as a swirl in my Spiced Cranberry CP soap and it turned out great! Just the color red I wanted and I didn't have to use much. Will definitely buy more. COMMENTS: This is a very pretty red! I had a little trouble getting it to mix in to the base, but once blended into some rubbing alcohol it was not any trouble at all to get it to mix in. "Migrates and morphs but pretty when used properly"
COMMENTS: More pink than red as using enough to produce deep red will discolor your bubbles and leaves a not so great impression at the bottom of the shower lol. I don't like using these "types" of colorants but received as a sample so thought I'd try it, I'll stick to my mica's, oxides and natural colorants. "Don't use in bombs. " COMMENTS: Kinda expensive... I get it, a little goes a long way. I bought this to use in bath bombs which the description indicates. BUT what it doesn't say is that the powders WON'T tint your bath bombs, it will only tint the water. This becomes an issue for overuse of the dye. I knew better but someone might keep on adding the powder to try to tint the bomb but it's not going to happen. Really disappointed because I wanted more options with colors for bombs and now I wasted money on these based on the info that is posted on your product. COMMENTS: Very nice color. A little goes a loooong way in my scrubs. I can do a batch of 10-8 oz sugar scrubs with a teeny pinch. COMMENTS: I like having this when I need this particular shade of red. It worked well in the M&P soap (I mixed with some glycerin). I also liked it in bath fizzies but remember that a little of this goes a long way. "Not like other stained glass colors"
COMMENTS: The texture this powdered color is different from the other Stained Glass Powder Colors. If you add it to dry ingredients it will not change that mixture to a red color. In order to know how much color to use, it needs to be mixed with a water based liquid not oil. COMMENTS: I use this colorant in my spiced apple CP soap- if you add it to CP soap without diluting it, it creates a beautiful speckle. COMMENTS: A LITTLE bit goes a LONG way! I learned that quickly! All in all, a great color! COMMENTS: tried it in MP, will try in CP too..
"So hard to find a good red." COMMENTS: But this one hold a great deal of red in MP. Morphed in CP to a dark red that I like. I did dissolve in glycerin before mixing in soap for avoid flaking, worked just fine. COMMENTS: As color states, great apple red! COMMENTS: A little goes a long way, but be careful not to add too much. Just because you don't see the color; once you add the moisture to your recipe, it's quite possible you'll realized you ruined the products due to too much coloring. This is one of those things you'll just have to believe is there even if you can't immediately see it. 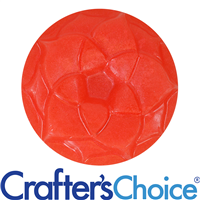 COMMENTS: This color is perfect for that candied apple color. Will buy agian. COMMENTS: Very concentrated. I use with distilled water to make my own liquid colorants. The Red 40 is more of an orangey-red, while the 33 is cooler, more strawberry-hued. "I'm adding this powder color to my dry mix but it's not coloring the mix, just remaining white. However when I drop my bath fizzy into the water, it dyes the water red. How can I get this colorant to dye my mix?" Staff Answer Try mixing the powder in with your fragrance oil or any liquid in your recipe before adding to your dry mixture. This will add color to your bath fizzies. "The labels on these colors state for external use only, which to my knowledge means they are not to be used in bath bombs or products that come into contact with mucus membranes but there are bath bomb recipes containing these dyes. Is this solely because they aren't batch certified? Can you please clarify?" Staff Answer This means that none of our colors can be ingested. It is a general statement listed on most of our products. They are fine for use in bath fizzies. Just to clarify, my powder dyes (red 40, blue 1, etc) are what I was referring to as showing external use only on the labels. This is the same meaning as the liquid dye? "I am making a liquid soap and need a liquid color. 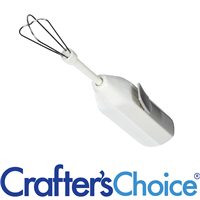 I have the Stained Glass powders and I'm wondering if I can mix these with water and use that in my liquid soap without causing the soap to cloud." Staff Answer Yes, you can mix the color with water. These directions are listed under each powder dye if you would like to read all the information for this product. "Hi. I'm confused. 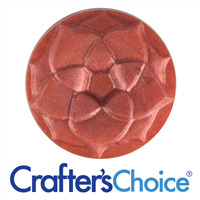 In one response you told a client that she could mix this color with glycerin and then add to CP soap. In another response you said this (and other stained glass colors) can only be used in MP soap and not CP soap. Which one is it? Thanks." Staff Answer The directions to add the powder dye to glycerin was for MP soap. You can use this powder color in CP if you wish, but all the Stained Glass Colors will change or fade in high pH. That is why we recommend this to be used mainly in MP soap. This information is listed for each of the colors under "Approved Cosmetic Uses". "How Much is too much for bath bombs?" Staff Answer You may need to test that in your own sink or tub. With a deep, dark color there may be the chance that it will stain the tub. Also, if you are using a red dye for your bath bombs, you will only get a pink shade since the base you are adding this to is white. We recommend sticking with light, opaque colors and you should be fine. "Are these powdered dyes batch certified?" Staff Answer The Stained Glass Powder Colors are not batch certified. You would need to purchase the bulk amount of 176 oz. in order to have batch certification. "Do these dyes need to be batch certified for bath bomb usage?" Staff Answer Yes, they do. If you use our liquid Stained Glass colors, those do not need batch certification since they are mixed in with other ingredients. "Can you use these colors to put in candles"
Staff Answer No, this color cannot be used in candles. Candle dyes are specially made to be mixed in with waxes. We do not carry any colors that can be used in candles. "can I mix this with glycerin to add to MP soaps?" Staff Answer Yes you can. 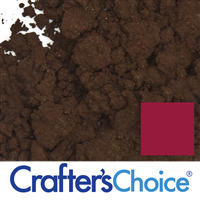 Recommended mixing ratios are 1 part glycerin to 2 parts powder color. "How much would I use in a l lb of melt and pour soap?" Staff Answer You can add color until you reach the desired shade you want. 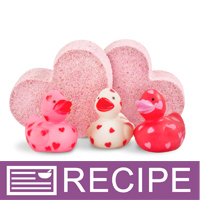 When adding powder to MP soap, you first need to mix it with a small amount of water before adding otherwise it will clump and not mix well. "Are these types of color ok to use in bath salts?" Yes, keep in mind it could stain the tub in large amounts, and will also tint the water. 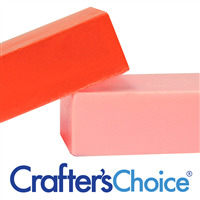 "Can the Stained Glass colors be used in CP Soap? "